Less than 20 minutes north of downtown Hillsborough, right up 86, there’s a magical place. Join Chela, as this week on “Tu for Two” she explores the magic to be found at Botanist & Barrel! 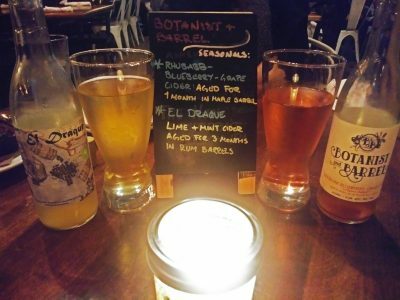 Founded in 2017 by the sibling duo of Lyndon and Kether Smith, Botanist & Barrel creates a variety of craft ciders — barrel-aged and otherwise — sours and dry fruit wines. Their beverages blur lines between wine, beer and cider, bringing a fresh new take on farm-to-bottle craft fermented drinks through “old world methods and modern sensibilities.” Found on Cedar Grove Blueberry Farm, the friendly folks at Botanist & Barrel also raise organic blueberries on their certified organic farm. Everything from Botanist & Barrel is raw, wild and unfiltered — and is also made using locally sourced ingredients all the way to the corks!